What is Database system concepts tutorial? 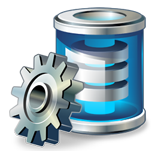 Database System deals with the technology of storing and retrieving users’ data in efficient and effective manner. This tutorial teaches us about various concepts of database system like architecture, data models, data schemas, data independence, E-R model, relation model, relational database design, and storage and file structure etc. This tutorial is designed for computer science graduates to understand the basic-to-advanced concepts related to Database Systems. To learn this tutorial one must have a good understanding of basic computer concepts like primary memory, secondary memory, and data structures and algorithms.